It’s only the start of what’s sure to be a long and expensive process, with carriers’ spending on faster speeds likely to peak sometime between 2020 and 2023. Jefferies reckons the total capital expenditure on the project might total around 945 billion yuan, or about $140 billion, between 2020 and 2025, though some estimates go much higher. 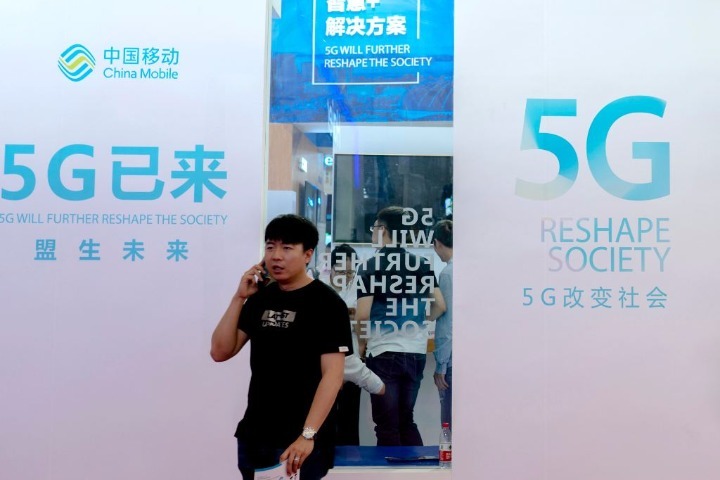 Analysts at China Merchants Bank optimistically forecast that total capex might be kept at less than 25 percent of the carriers’ revenue in the coming years, compared to around 35 percent during the peak years of the 3G and 4G buildouts and around 20 percent last year. Certainly the smaller pair appear restrained. Company statements and other signs suggest that Unicom and Telecom might form some sort of network-sharing agreement in order to compete with the much bigger China Mobile. That would probably reduce the total bill. Even so, it’s early days and Beijing ultimately calls the shots. Some market observers still hope officials might push back peak deployment of the new technology, to the benefit of carriers. Others worry they will get hurt by a pre-emptive rollout designed to offset lower overseas sales by Huawei and ZTE,, following a global backlash against the equipment makers. Much will depend on China Mobile. It trades at an enterprise value of around 3.7 times its EBITDA – compared to an average of over 4 times over the past decade, according to Eikon data.